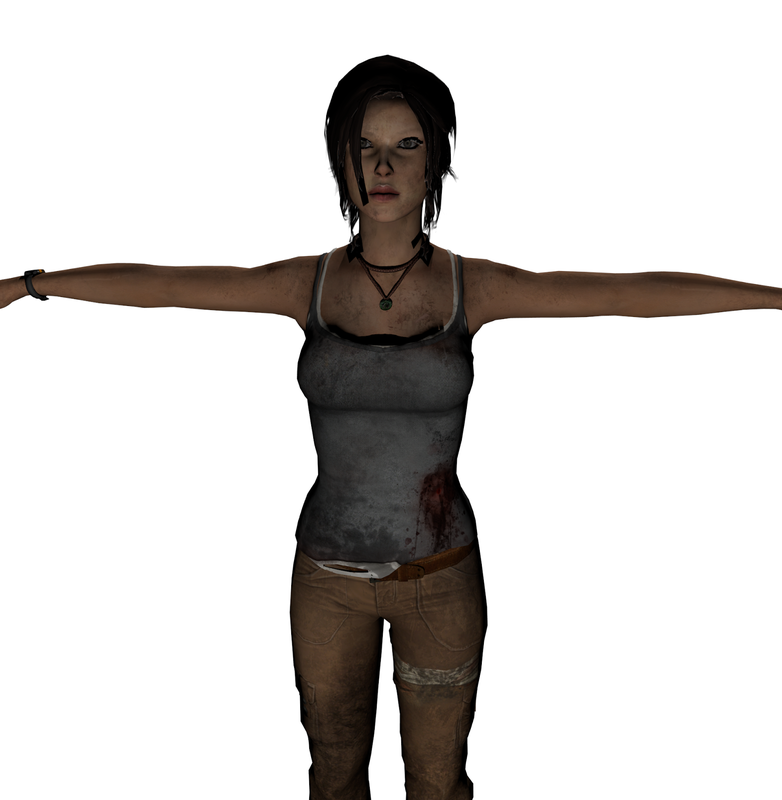 I have been working for the last few days on improving Lara Croft model that I downloaded from http://thefree3dmodels.com/stuff/characters/lara_croft/14-1-0-5073 . Model was in obj format so it was easy to import it to Blender however I lost armature and got some issues with materials and model is in triangle topology that I had to convert to quad(If you are familiar with blender in Edit mode (Ctrl+T, Alt + J). 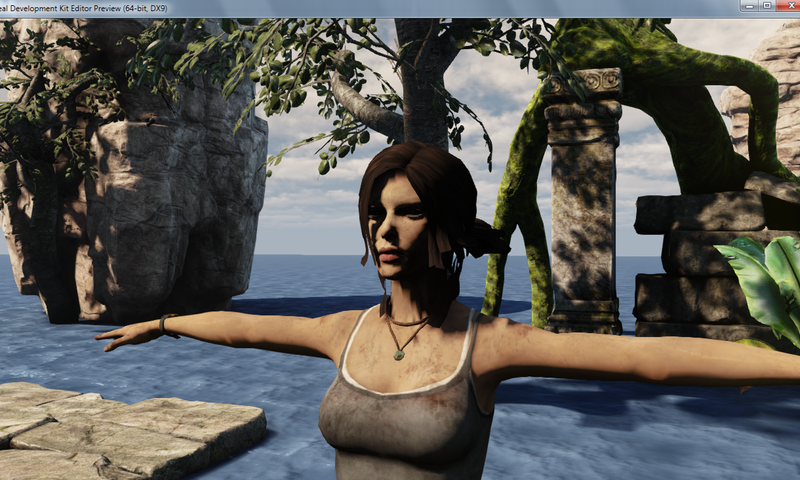 After fixing all issues I exported this model to Fbx format and I must say that Unity3d was much faster dealing with fbx than UDK, however in Unity I had to spend more time creating materials, because textures were not imported by default. UDK built all materials for me but it took some time. 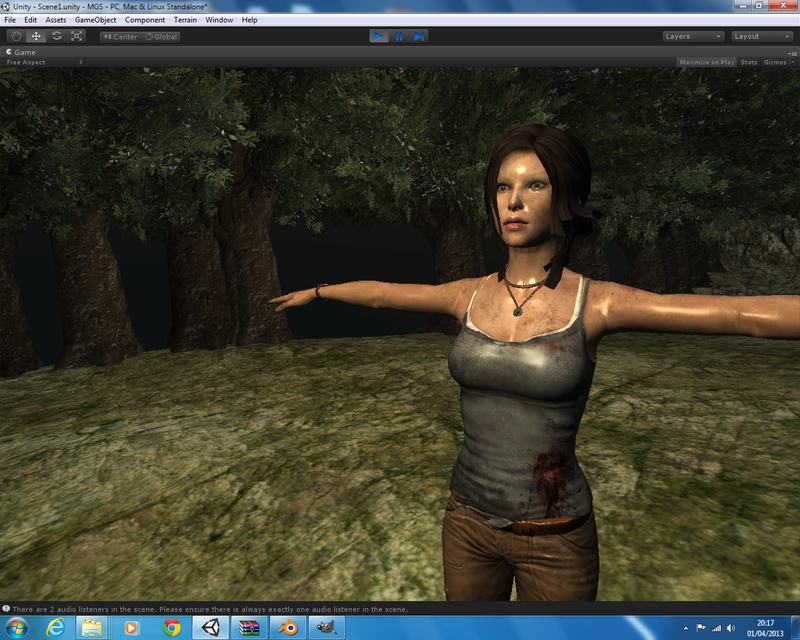 I must say that Unity(current 4.1) has been improved since the last time I used it after I moved to UDK. I will still be using Unity as I have few projects in mind and a bits on paper:P for Android.